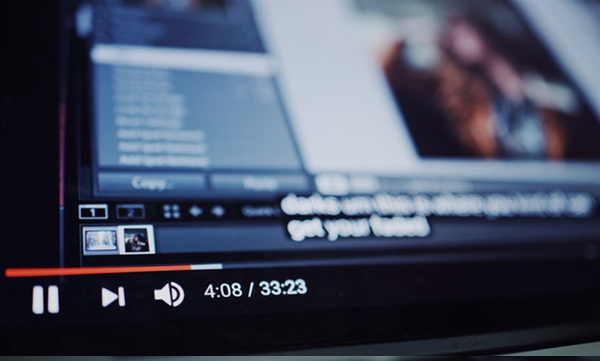 As one of the main sources of information for both life and work, YouTube videos are shared to social media, forums and websites every minute. Comparing with downloading YouTube video free, sharing video online is a more convenient way to spread people’s findings. However, do you want to make YouTube sharing more efficient? For example, let your receivers play the shared video starting from the moment that you want them to see, instead of wasting time in the head or dragging timeline. Not downgrading the importance of video head and cover. Actually, people often need to recover deleted images and video clips of a YouTube video. However, sometimes it is better to be straightforward and save valuable time. In this article, you will learn up to 3 methods to share YouTube video at specific time, no matter you use a PC browser or the YouTube app for mobile phones. 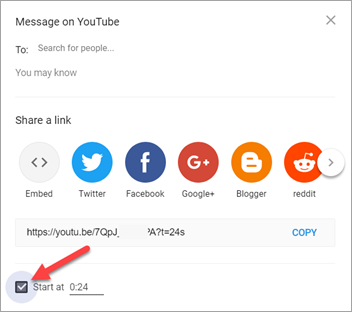 It is easy to overlook, but some people have noticed that YouTube allows users to choose the Start time while sharing a video by clicking the SHARE button on browser. If you do not find the option, just follow steps below to know it now. Step 1. Open a YouTube video with a browser on PC. Step 2. Click the SHARE button under the playback window at the moment you want to share the video. Step 3. Tick the box next to Start at, which is at the bottom of the pop-up window. Step 4. Now you can edit the start time. By default, it should show the time you click SHARE button, but you can change it. Step 5. Share the YouTube video at the specific time by clicking available social media options. If you give enough attention to the process, you should find that the sharable link is added with timestamp (?t=xxxx) after ticking Start at box. With the timestamp, the link can also direct people to play the video starting from the specific time. What’s more, it indicates a more important element that we will discuss later in Method 2. The second method for sharing YouTube video at specific time is by adding a string of code to the URL. Remember the timestamp that we find in Method 1? Yes, the secret is in the timestamp at the end of a YouTube video URL. Here we are going to elaborate the time string. Looking back to Step 3, Method 1, the sharable link is added with a string “?t=24s”, which means that the video will start playing from 0:24. Accordingly, if you want it to start at 3:02, then you should add “?t=3m2s” to the link. As easy as a piece of cake, isn’t it? However, if you compare the URL in the SHARE window and the one in the address bard of your browser, you’ll find that the first is shorter than the latter. If you want to share a YouTube video at specific time by modifying the full URL in address bar, then you need to replace “?” with “&”. Step 1. Play the video you want to share on YouTube mobile app. Step 2. Pause the video where you want to share with people. Step 3. Tap Share button > Copy link. Step 4. Open the social or messenger app where you want to share the video. Step 5. Past the URL and add a timestamp as we mentioned in Method 2. Step 6. Confirm to share video out. It is not difficult to share YouTube video at specific time from app since we have learnt the methods above. Feel free to discuss with us if you have any question about sharing YouTube video at specific time from app or browser. How to Fix and Repair Old Photos?